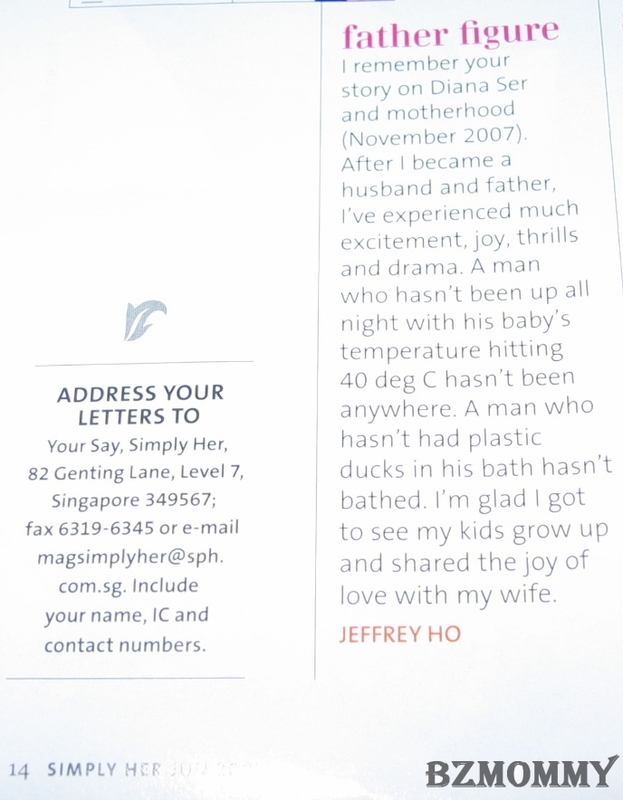 The other day while flipping through Simply Her, I saw a letter submitted by a father. His words are so heartfelt, especially the part about staying up whole night when the child was having fever. Bravo to this father!